The Val-Matic eccentric plug valve design is the tried and true design of the industry that seats the plug in compression instead of friction, and we know that is longer valve life. Innovation is the capability to have the same design with a 100% port (cross-section of port-to-pipe comparison), and having capabilities for fusion bonded epoxy interior/exterior, glass lined, etc. 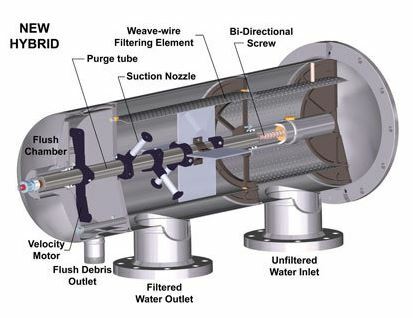 VAF produces a self cleaning automatic strainer barrell concept that has been around 40 years, but the innovation is all stainless steel construction, bi-directional cleaning, hydraulic cleaning action so that an electric motor is not required, less than half the components, and screening sizes down to 10 microns with 100% capture capability so it can filter out “Zebra Mussel Villagers” or even down to red blood cell level of particulate. FTC is the leader in bolted tank technology. Bolted tanks have been around for over 40 years, but FTC designs them with fiberglass resin fusion compressed panels that are insulated for the environment so they are light weight, can be used in the hottest deserts or the coldest mountains, light weight, easy to assemble, easy to clean, extremely durable, and age as well as a stainless steel tank or better because they aren’t subject to galvanic corrosion. Please check out our manufactures, and let us know what interests you in water and process. You can have a better product for your project, and our job is to help open your options.